Atlanpole Biotherapies cluster’s historical key focus, immuno biotherapy brings together more than 60 institutions including research and care units, companies, and technology platforms, technical facilities and bio-collections. 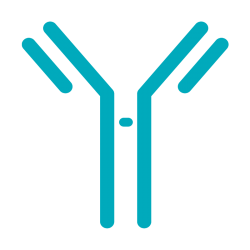 These resources are devoted to research and innovation on antibodies, vaccines, immunmodulators and adoptive transfer of cells to fight against cancer, inflammation, autoimmune and infectious diseases. Several strategic projects (CESTI IHU, MabDesign, LABEX IGO, LABEX MabImprove, Biomédicaments, Biopractis, IFBC) which are supported by the State in the framework of the future investment program, and by local authorities and large pharmaceutical companies, have helped to structure an interregional research center and an industrial sector that is developing as part of the national MabDesign network. In 2011, CESTI IHU was selected in response to the call for projects ” University Hospital Institutes: IHU” in the framework of the future investment program. It started in 2013 with the goal of translational research on the control of the immune response and induction of patient tolerance in the area of replacement therapy (organ, tissues or cells transplants, gene therapy products vectorization). CESTI is supported by Nantes University Hospital in partnership with Nantes University, INSERM, the Pays de la Loire Region, Nantes Métropole, Nantes Veterinary School (Oniris), Atlanpole Biotherapies competitive cluster and Rennes University and has a budget of 10 million € financed equally by the state and local authorities. the implementation of an education module to enhance PhD students’ awareness of entrepreneurship (Biotech Academy). The medium-long term prospects concern the support given for the implementation of projects financed, the transposition of preclinical models to the clinic, the sustainability of the program beyond the period of public support (5 years), opening new investigation avenues including the integration of new massive data processing approaches and the continued valorization of research deliverables.